PageRank is a number calculated by Google based on how many links are pointing to your webpage, how many links are pointing to the pages that are linking to yours, and so on. The theory is that the sites that are linked to by the most other sites must be the best sites. And if those links come from sites that have lots of links pointing to them, all the better. Early in Google’s history, PageRank had a huge impact on how high your site got ranked in search results. It’s what made Google famous. And it’s what drove webmasters to rabidly scramble to get as many links to their sites as possible without really caring where they came from. Because it used to be so valueable and so much emphasis was placed on tricks for building PageRank, the perceived importance of PageRank remains high even though it’s actual significance is much smaller than it used to be. In a June 2007 article, Google engineer Amit Singhal revealed that Google’s ranking system involves over 200 factors, of which PageRank is just one. If you think about it, it makes sense. Google’s goal is to show users the pages most likely to contain the information they’re searching for. If a page contains the keywords they entered, is the number of links pointing to that page the best measure of whether it’s the right page? Google’s system has evolved to consider much more than that. Does the page simply contain the keyword, or is it about the keyword? Are the pages that link to it about that keyword or not? Does the link text that’s used to link to the page contain that keyword? Does the page link to other pages that talk about that keyword? Any one of those factors may be a better indicator than PageRank of whether that’s the page the user wants to see. It’s actually very easy to test the theory that PageRank is not the all-important factor that many people think it is. Just install the Google browser toolbar, do a Google search, and check the PageRank of the pages that come up on page 1. When I tried this experiment, one of the first searches I did was for “Chinese art”. The #4 result only had PageRank 2. It ranked higher than millions of other pages containing the same keywords not because of it’s massive PageRank (PageRank scores range from 0 to 10), but because Google believed that it was what someone searching for “Chinese art” would like to see. A few more searches showed a PageRank 4 page in the #3 spot and a PageRank 3 page in the #6 spot for “SEO” — a highly competitive keyword (one that a lot of SEO “experts” probably spent a lot of effort trying to rank high for by building their PageRank!) And 3 of the top 10 results for “internet marketing” only had PageRank 4. If that’s not enough logic and evidence to convince you that PageRank is no longer the all-powerful force of days past, then don’t bother using LinContEx — you won’t like it. To use this site, you have to give up your death grip on your PageRank and trust that doing the kinds of things that your website’s human visitors will value (like importing related content from other sites and linking to them) will also help you in the search engines. I’m not saying that PageRank is worthless — it’s still one of the 200+ factors Google uses to rank pages. LinContEx isn’t all about trading PageRank for relevant content — your exchange partners will be giving you some PageRank back in exchange for the content they get from you. I’m just saying that some of the things you’re afraid to do if you value PageRank above all else are probably going to help you more than the loss of a little PageRank would hurt you. Oh, and just to allay one more fear some webmasters have — you can easily make all of your outbound links open in a new browser window. That way, when your visitors close the sites you send them off to, they’ll still have your site open. True Antone. Forget about PageRank. Contextual backlinks from keyword related pages is what to concentrate on for better rankings. Its all about relevancy not statistics. I noticed that you are nofollowing the links on your comments. Oops – forgot to enable the “do follow” plugin on this blog. Thanks for pointing that out, Jay. What a simple fact, but so profound: ” The page must not only contain the keyword, it MUST be about the keyword”. So simple but how many are using that principle?? Nice post Antone, You make a very good point. Hi, maye this is to critical but I got feeling that you do not understand PR very well. In my opionion you should go with large number of words that you searh on Google and then explain it. That way you will get real answer about importance of Google PR as well the key that say about relevancy and relevant content! Antone I think math can answer all PR questions and is exact and not so much difficult as it looks on first impression. I’m afraid I don’t understand the point you’re making. I’m familiar with how the PageRank calculation works–how each page starts with a certain PageRank score, part of which gets passed on to each page they link to, etc.–but those details really aren’t important to the point I’m making here. The point is that PageRank is only 1 of over 200 factors that go into determining where a page appears in search results. And the smarter the search engines get, the less important any single factor will be in the overall formula. But because of PageRank’s HISTORICAL importance, people tend to focus too much on trying to get and keep PageRank, even doing things that make them score worse on some of the other 199+ factors. Anyway, I’d be interested in a clarification of the point you’re making. Thanks for the reassuring post Antone! Page Rank is highly relevant to just one thing – the price you can command for advertising space. Search engine traffic to a page is determined by key phrase ranking. So the question folks should rightly be concerned about how to maximize and protect their keyword ranking. It may surprise some to discover that if the outbound link reinforces the keyword relevance of the page, then it may actually help rather than hinder the page’s keyword rank. Google goes to some lengths to reward actions that positively enrich the user experience. So think “trust” and “relevance”. Just wondering what to work on now that pagerank has died. Do you just focus on the content of your site and Keyword density? Finding the right approach is very difficult for a self learner these days. My focus will turn to only reading material that is within 3 months of the current date. I have waisting much time on Pagerank over the last month with reading old articles about Pagerank. Mistake! Time to move my focus away from PageRank. Well, it’s not that PageRank is DEAD, it’s just far less important than it used to be and not worthy of the rabid focus that many place on it. Incoming links are still critical, it’s just that they have to be higher quality links than before. You want to build links in a way that not only builds PageRank, but also builds relevance and trust — you want those links to come from pages with content on the same topic as yours. I would like to know what are those 200+ factors that impact on PR ? Is there a list? This list is a bigger secret than the Krabby Patty formula. If Google released it, thousands of black hat SEOs would use it to devise new ways of cheating. I still think PageRank is more or less important. When I make links from pages with higher PR (4 or more) this still has big imapct on SERP. Not all of these links, but most of all. All things being equal does it not still hold true that if you have an relevant anchor text link from a site of say pr3 (that has relevant information on it’s site) compared to another site that also has relevant content with the same anchor text link with pr6. Will google still give the pr6 anchor text link more weight (assuming both sites have relative content)? Sure, all other things being equal, higher PageRank is better. All I’m saying is that many people focus too much on PageRank AT THE EXPENSE OF MORE IMPORTANT FACTORS. Many people do care about PR of their site. 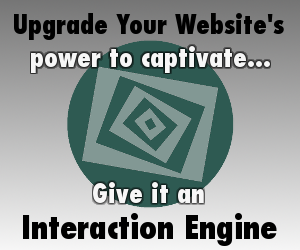 In a way that they are focusing to their link building strategies and disregarding the content of their site. A site owner, webmaster, must learn to balance everything in order to be successful. At the end of the day, it doesn’t really matter about anything else other than making sales of personal/affiliate products, expanding market awareness of your branding, and trying to impart some sort of knowledge to those who find you interesting enough to revisit or bookmark. The theoreticals are all well and goood, but if you’re not doing anything to give the search engines a reason to index you and your content, you may as well go and get an offline job. Your point is quite strongly put Antone, and while I agree that PR is often over-emphasized I think it may be a bit misleading. The fact that people misunderstand the significance of PR (which, generally they seem to do) is not the same as saying it is unimportant. In my experience the PR of your own pages is not nearly as important as the PR of the pages linking to you. I think it is fairly obvious that a link in from a PR5 page is better than a link in from a PR1 page. Quantifying how much “better” is difficult, but as a rule of thumb I think this holds. If this is true, and if people actually understand this correctly, then it makes content on higher PR pages more valuable, more worth going after, and more worthy of the value reflected in higher advertising prices – as noted by GrapeGrow above. Another minor point: I have never done a systematic study of this but I have noticed that higher PR pages/blogs get crawled more often than lower PR pages and therefore placing content with backlinks on higher PR pages will tend to have a more immediate impact on your SERP results. And another minor point: In my opinion, “relevance” is equally misunderstood by the SEO masses. It is not at all obvious what “relevance” even means in an SEO context, and I believe this is reflected in the way Google treats inbound links. Generally speaking a link is a link. I know we tend to assume otherwise, but it is just an assumption that sounds good on first hearing, but ends up being quite slippery on further examination.